Sweet vintage print reminiscent of old wallpaper with soft floral pattern over oatmeal background. 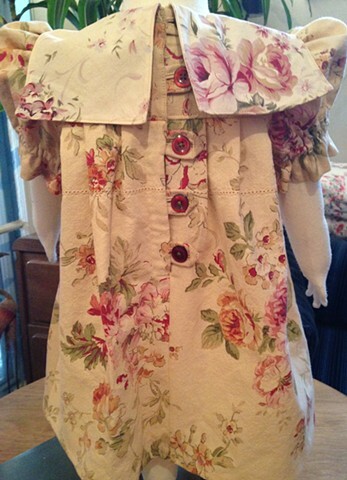 Puffed sleeves, pockets, button and loop closure in back, big squared collar. Measures 26" at chest, 18" shoulder to hem, size Toddler (1-2 years), $70, made in the USA, shipped free to any address in the U.S.